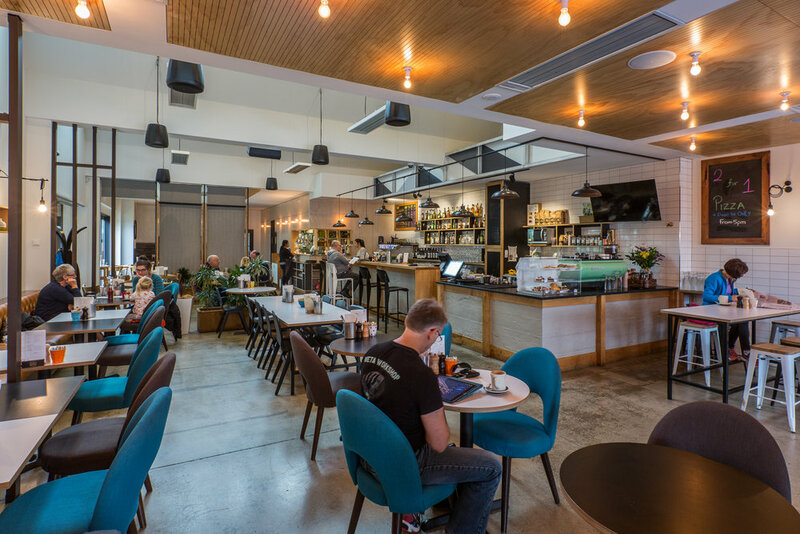 A welcoming neighbourhood bar and eatery was the brief, taking a long narrow space with poor natural light and creating a comfortable stylish venue was our challenge. 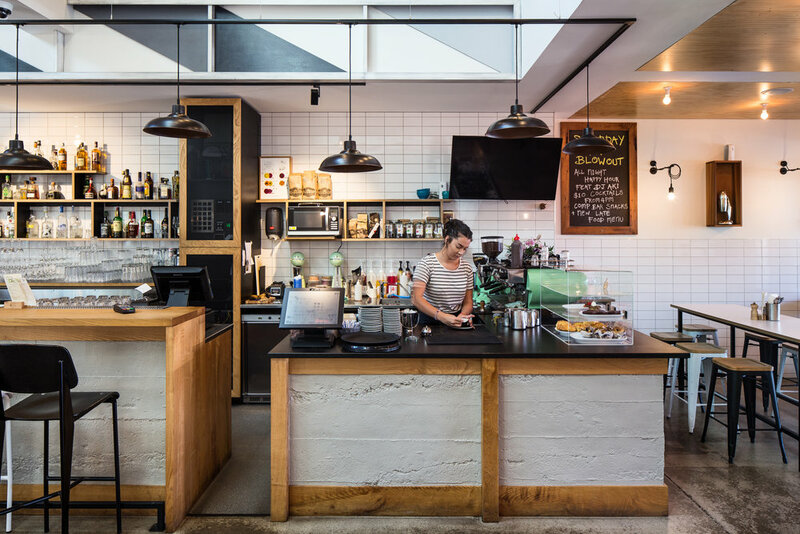 On a site that previously held a tired video store in the Wellington suburb of Miramar, Park Kitchen is now a thriving local bar and café. The vacant site was long and narrow with limited natural light to the interior. Our solution was to introduce a ‘saw-tooth’ roof design - integrating a series of skylights - that creates a strong visual effect and floods the interior with light. To create more intimate spaces within the large open plan area, light wooden screens were introduced. A function room that can be partitioned from the main restaurant, and a compact garden bar further break up the space. We worked closely with the client to create a simple pared back interior of pale wood, white tiles, leather banquettes and industrial light fittings. 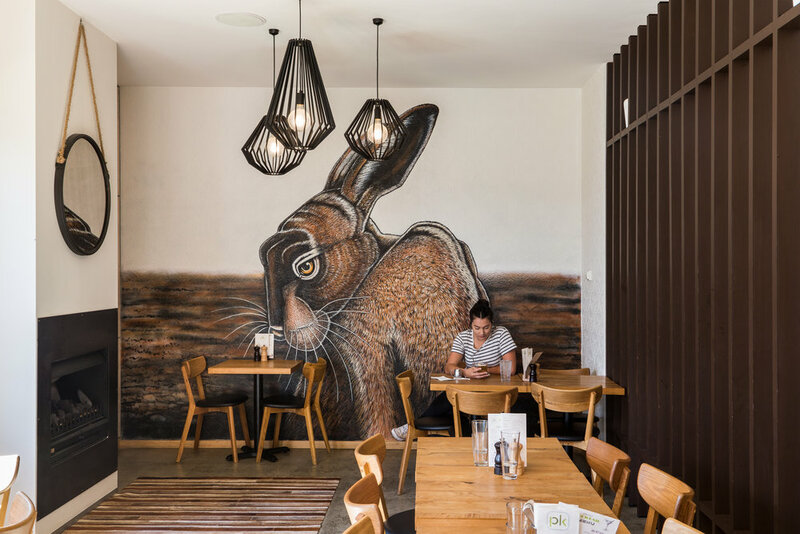 Complemented with some unique wall graphics this has created a fresh contemporary feel.